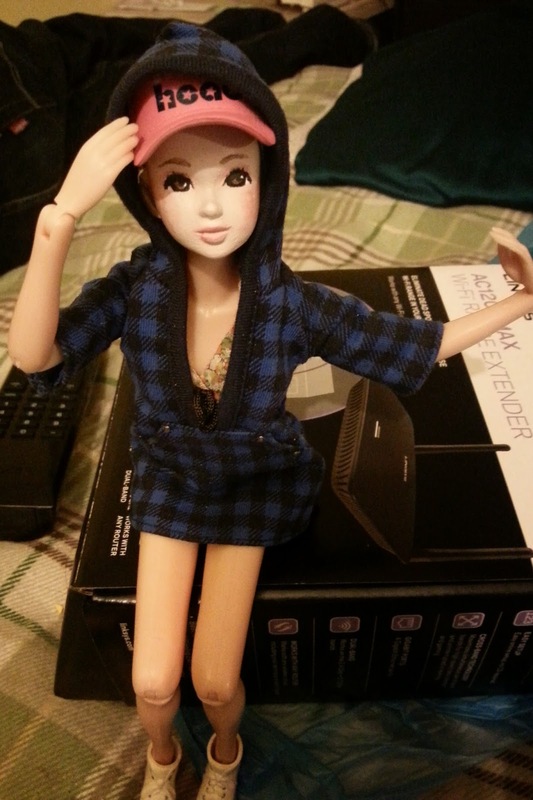 Wow it's been so long since I made a post buttttt I got a new momoko doll....I know I knowww no excuses SeasonalFrostbite! HA anyways I made a new video *HURRAHHH* and I'm working on making a new video you seeee...I moved :( LOLZ I have no work space and I'm working on setting up a work space with that cool convertible craft table I been seeing on amazon. I saw the DIY one but who knows how long its going to take my hubby to actually start it -_- *LOVE YOU BAE* Anyways first things first, here is the doll review video. 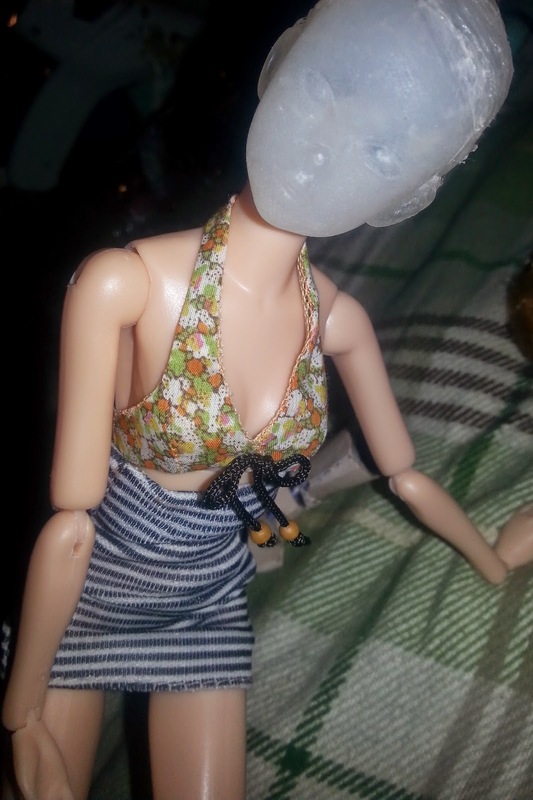 Now to be honest, I won't buy another momoko doll, buying her pullip like body is cheaper than buying the full doll and since I made a silicon mold of her doll head...welll...let's just say I can make a bunch of clones *MUHAHAHAHAHAHHAHAHA* >.> <.<....ha. Actually the silicon mold is so amazing I have to share it with you and what I did. 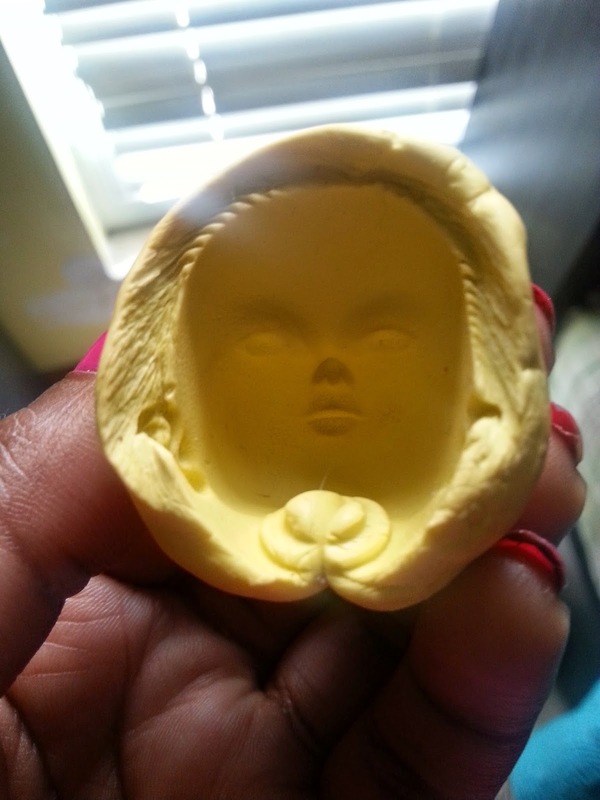 So I just made a silicon mold of momoko's head without taking out her hair, I made sure to get all her features including her ears I used amazing mold putty to do it as well. I filled the mold with hot glue waited for it to dry, took it out once it was dried filled the mold back up again and pressed the dried piece back into the mold hard. Doing it this way makes it easy to get all the details.Also I choose hot glue because you can root the doll's head easily, To make the back of the head i just just used the forehead of the mold to make pieces i needed to cover the whole head. Here is the hot glue doll head not painted on the left. On the right is the doll head painted.I chose to go with a different design in the face to match a project that i have for a future tutorial and blog post so stay tuned. 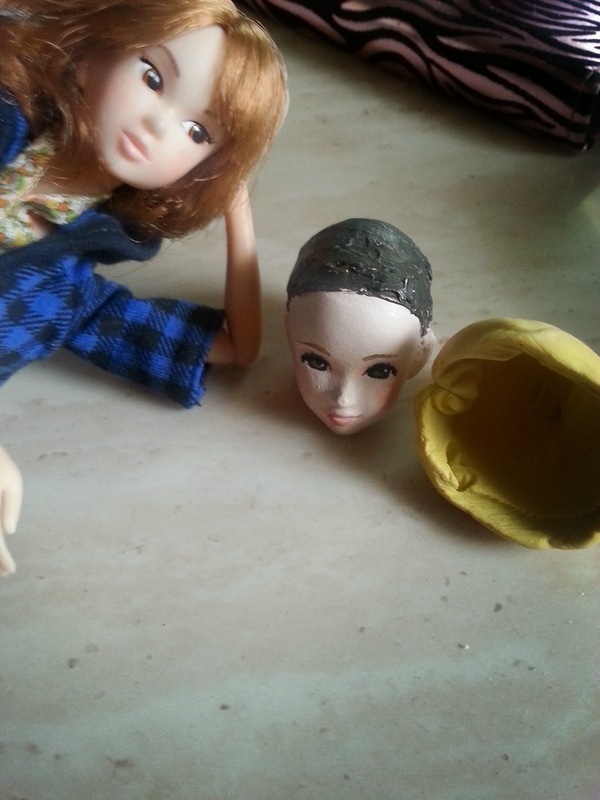 nNw here is a picture of momoko, the hot glue doll head that's painted now and the mold. Alright that's it for now see you space cowboys!